If you’re thinking about buying a robot vacuum, then you’ve come the to right place. Let’s face it: keeping your floors clean the manual way is a chore that no one wants to do. Vacuuming, sweeping, mopping – it gets old, really fast. Thankfully, the AI and robotics engineers at companies like iRobot and Neato have been working hard for more than ten years to automate floor cleaning for the rest of us. About 5 years ago, robot vacuums and floor sweepers were mostly a novelty. They had a lot of nagging quirks, especially reliability. But today, most of the old issues have been sorted. The best robotic vacuums today are a wonder in automated cleaning. And reliable. In this in-depth buying guide, you’ll learn about the best-performing robotic vacuums selling today – how they compare, what they can and cannot do, and the few issues that remain. In this guide, we’ll review the top robotic vacuum for each type of floor and need that most people have (pets, allergies, budget, etc.). In addition, we’ll answer the most frequently-asked questions about robotic vacuums. The table below compares out top picks. All of these units are reliable and proven cleaning solutions with good warranties. Most of them can be bought online, so there are plenty of reviews to read for each. A growing number of robot vacuum cleaners today are specialized for a job like sweeping hard floors, cleaning deep carpet, mopping or filtering-out allergens and pet dander. Before you start to shop, it pays to know what kind of surface you’re trying to clean and what kind of cleaning problem you’re trying to solve. 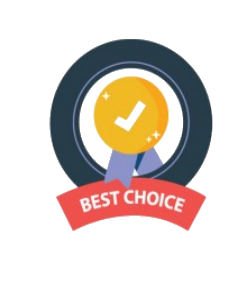 When it comes to choosing the best robot vacuum there are many things to consider. The most important things to consider is the type of floor you need to clean. Different robotic vacuums work better on some types of flooring more than than others. The best robot vacuum for hardwood floors is not the same as the one that can best tackle thick carpet. A wet mop-equipped vacuum won’t work as well on carpet. Other features to consider include the method of navigation, scheduling options, recharging, dustbin capacity and the limits of hands-free cleaning. Keep reading to see how our top picks compare on these features. The iRobot Roomba 880 is the best robotic vacuum you can buy if you or someone you know suffers from allergies. This robotic vacuum combines top-notch navigational technology with powerful vacuuming and an optional high-quality, fine-mesh HEPA filter. It can clean multiple rooms with various floor types in one session, too. The 880’s HEPA filter screens even the tiniest particles from the air. This ensures that allergens are removed along with dirt and debris that can also irritate an allergy. The Roomba 880 has excellent cleaning features. It features rubber brush rollers and a side sweeping brush that do a great job cleaning along walls and into corners. The unit’s compact design means this little robot can easily fit into small spaces such as under couches, tables and low, modern furniture. The 880’s navigational system uses virtual lighthouse technology, which is basically a virtual wall that is set up to keep the vacuum from going into certain areas of your home. The virtual wall is turned off as the robot finishes cleaning an area, which allows the robot to pass into another room to begin its next cleaning phase. You can schedule the Roomba 880 to clean your home any time that you want, for up to 7 scheduled cleanings per week. If the robot’s battery runs out during a cleaning cycle, it will automatically return to its charging station and recharge itself; once recharged, it will pick up cleaning where it left off. Very cool. Maintenance requires that you disassemble the vacuum in order to clean the rollers and filter. But the rollers are quite easy to clean, because they are made out of rubber. Overall, maintaining this robot cleaner is simple – once you get the hang of it. While the 880 is a great robot vacuum, it does come with some limitations. First, the navigation algorithm is a bit random, which makes the cleaning process a bit inefficient. This means that it will take longer to clean a room than it could. This compact floor cleaning robot also has a rather small dustbin, which means it will need to be emptied quite often. Finally, the unit is a bit loud compared to other models. People who suffer from allergies will find vacuuming their home with the Roomba 880 regularly can be extremely beneficial. Not only does this HEPA-equipped unit do a great job picking up even the smallest particles, the fact that you don’t have to vacuum yourself means you can vacuum every day – which has its own benefits for allergy sufferers. That said, the Roomba 880 is one of Roomba’s more expensive models. But, if you suffer from allergies, this vacuum is worth the expense. If you are a pet owner, then you know that one of the worst things to deal with is all of the hair that our lovely friends shed. The Neato Botvac D80 is our best pick to help you with this chore, mainly because this vacuum picks up more pet hair than any of its competitors. The D-shaped design helps the bot navigate even the smallest of spaces. The vacuum can fit into tight corners, and along the edges of rooms in your home in order to sweep up the pet hair and dirt that often finds its way into these spaces. 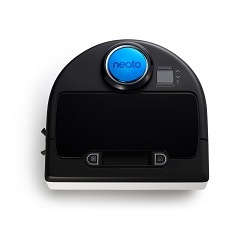 The Neato Botvac D80 comes with a great auto charge and resume feature. The unit will automatically recharge itself when its battery gets low, and then resume cleaning from the spot that it left to go recharge. 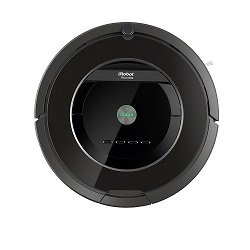 The D80’s smart navigation system allows the robotic vacuum to easily navigate through your home. The Neato D80 does not come with a remote. You control and program the robotic vacuum manually. Another complaint we have is that the D80 can get stuck on cords and rug fringes rather easily. The Neato Botvac D80 may be small, but it does a really good job picking up pet hair from around your home. You can run it daily without your presence, and the price is right. Hardwood flooring is a popular flooring choice for many homeowners, especially for newer modern homes. 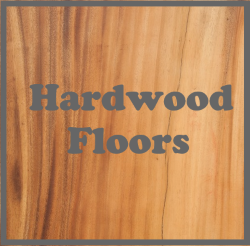 A big problem we run into with hardwood floors, though, is how frequently they collect dust. It seems that no matter how often we sweep them, they always end up looking dirty within a few days. Robotic mops make this chore disappear. 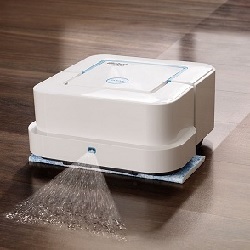 If you have hardwood floors in your home, then the iRobot Braava jet 240 is your best choice for cleaning them. Instead of focusing on vacuum and suction, the Braava jet is a wet mop, which is exactly what a hardwood floor needs. The iRobot Braava jet is a mopping robot that uses a precision jet spray and a cleaning head that vibrates to loosen the dirt and grime that hardwood floors collect so easily. The design of this robot is makes process of cleaning any hard flooring surface, including hardwood, stone, and tile, much easier. One feature that the iRobot Braava jet lacks is a scheduling function. However, whenever you want to clean your floors all you have to do is press the clean button on the device and it will begin working for you. Once the job is complete, you lift the device and remove the cleaning pad. You never have to deal with dirt or other mess, as you simply toss them away. There are several different cleaning pads available for the device, including reusable pads that can be tossed in the washing machine after a cleaning. One of the issues that some people have with the Braava Jet 240 is that it does not actually vacuum your floor. To sweep up dust, dirt and debris, you use a dry pad. Then, you put on the wet pad to mop your floor clean. The Braava Jet 240 also has no auto-recharging function, so it must be manually charged. This kind of makes sense, given the need to change pads anyway. Finally, there is no scheduling feature. This is a unit you use while you’re at home. When used on a regular basis, the Jet 240 keeps hardwood floors and other hard surfaces swept and sparkling clean. It considerably reduces the amount of time you spend sweeping and mopping. If you own a lot of hardwood flooring, then you know how much time this little robot will save you in a year. For many years, robotic vacuums cost an arm and a leg. But not any longer. There are some that work really well and come with a lower price tag. One of the best budget robotic vacuums on the market is the bObsweep bObi. If you are looking for a way to keep your carpets and hard flooring clean with less effort, the bObi is definitely worth your consideration. The bObi will run for two hours when it is fully charged. This is enough time for the robot to clean an entire level of a home. It has a dirt sensor installed to detect the messiest areas of the home. This sensor will lead the vacuum to pay more attention to that specific area. The bObi also has a ledge sensor that keeps it from falling down your stairs. This sensor also keeps it from constantly bumping into walls. The sound level of the robot is also worth mentioning as this is one of the quieter robotic vacuums currently on the market. 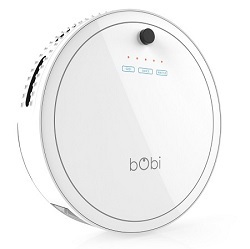 The bObi vacuum has a status light that lets you know when it is getting low on power and needs to be recharged. There is no indicator light to let you know when the bin is full, however, so it is important to make sure you regularly empty the bin. One shortcoming of the bObi is that it lacks virtual boundaries. There are no virtual walls or magnetic boundary markers available. This can be a problem if there are smaller areas in your home that you do not want the bObsweep bObi to go into. 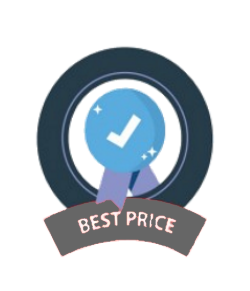 The Bobsweep bObi has a lot to offer homeowners who are looking for a quality robotic vacuum at a price that is affordable. The Roomba 650 and its successors the Roomba 655 and Roomba 690 is Roomba’s best selling robotic vacuum for several reasons. First of all, it cleans almost every surface type really well. 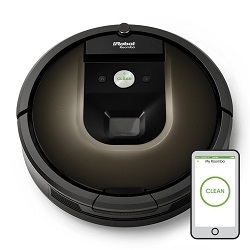 The 650 is a reliable mid-range model that uses the same 3-stage cleaning system found higher-end Roombas. This cleaning system cleans everything from carpet to hardwood floors really well. It can vacuum up food, pet hair, human hair, and other small bits of debris with ease. The Roomba 650 offers a scheduling feature that allows you to schedule up to seven cleanings each week. When the robot has finished a cleaning job, it will return to its charging dock in order to recharge. 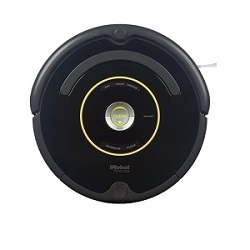 The latest generation, the Roomba 690, adds smartphone-based scheduling and WiFi connectivity to this excellent vacuum – but retains the same price. This vacuum has hundreds of positive customer reviews online, and the majority of people who purchase this robot are completely satisfied with the job that the robot does for them. The Roomba 650’s navigation is its biggest limitation. It can only clean one room at a time. If you are looking for a robot vacuum that gets the job done one room at a time, then the Roomba 650 / 655 / 690 is a great choice. This model line has remained a bestseller for many years because of the excellent cleaning job it does, as well as the extremely reasonable price. iRobot’s Roomba 980 is its latest model, and it is packed with many great features. This little robot maid will keep an entire level of your home clean. The Roomba 980 vacuum cleans all types of surfaces in multiple rooms, including even deep pile carpet, something no other robot cleaner can handle as well. It also detects and avoids obstacles, as it goes. The 980 automatically recharges itself as necessary, to get the job done. The Roomba 980 has wifi capabilities as well as many other next generation features. 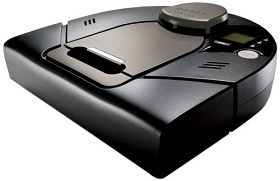 For those that can afford this vacuum (it’s not cheap), this really is the best robot vacuum sold today. The Roomba 980 uses the AeroForce cleaning system that the brand is known for. It’s the best deep-cleaning system available in robot vacuums, today. The 980 uses the iAdapt 2.0 navigation system that navigates through your home and avoids obstacles. It will avoid falling down stairs as it has a sensor to detect them. In addition, there are 2 virtual walls you can set up to control where the cleaner can vs. cannot go. The included iRobot mobile app works with both Android and iOs devices, so you can control your device from your mobile phone or tablet. You can access the app from anywhere and schedule a cleaning from any place that you happen to be. Some owners report that the Roomba 980 cannot get at smaller / tighter spaces in a home. In addition, one of the downfalls of this robot is that it comes with a high price tag that many cannot afford. Overall, if you are looking for the best robot vacuum for any type of flooring, the Roomba 980 is your only choice. This robotic vacuum has all of the features that you could ask for in an automatic home cleaning system. That said, all of these features come with a price. On the other hand: how much is your time worth? The Roomba 980 is a great device, but the price is too high for many homeowners. For those who are looking for a similar option at a lower cost, the Neato XV has a lot to offer. This quiet device features a combo brush that does a great job picking up pet hair and other debris from your floors. While the Neato XV does not have the Roomba’s excellent carpet boost feature, it does a fine job picking up dirt from carpeted areas, and it does an excellent job on hardwood floors and collecting pet hair. One of the notable features of the Neato XV is its shape. The unique D-shape allows the robotic vacuum to get into those hard to reach corners and to sweep along walls with ease. The XV also has a powerful suction and the precision brushes help it get up all tougher dirt areas from your floors. Neato offers a patented navigational system that includes a laser smart mapping system. The robot scans a room to create a mental map that it uses to determine the most efficient way to clean the room. This map allows the vacuum to clean a room up to four times faster than some of its competitors. The Neato control center will allow you to create a cleaning schedule for your XV that works best for you. You can schedule up to 7 cleanings per week. Setting up a cleaning schedule is simple and it will allow you to keep your floors looking great all of the time. One area that the XV is missing out on is that it does not have a remote control. In addition, there are no customizable cleaning modes on the device. This makes the robot simpler to use, but if these features were added the XV then it would be a direct competitor with some of the more expensive models. The XV offers a great choice for those who want a great vacuum without the paying the price for a Roomba. This vacuum does a great job at cleaning and offers many great features for the price. How does a robotic vacuum know where to clean? When talking about how a robotic vacuum cleaner moves around the room, there are two types of robot vacs. There are those that rely on random movement. When the vacuum bumps into something like furniture or the wall, it stops and turns to another direction. These ‘random’ robot vacuums take much longer to finish clean and can leave some spots untouched. It’s mostly older and cheap robot vacuums that use random movements to navigate around the room. Newer robot vacuums such as the Roomba 980 and Neato Botvac vacuums have a much more intelligent navigation process. These robot vacuums are loaded with sensors to help them ‘see’ their way around while others contain algorithms to guide the vacuum around efficiently. Here are the different types of sensors found in most robotic vacuum cleaners including the older models. Bump sensor –This is a touch-sensitive sensor usually fixed at the front of the vacuum cleaner. It lets the vacuum know when it has bumped into an object like furniture or the wall. The vacuum then turns around or follows the wall line to clean the edge using a side-sweeping brush. Proximity sensor – If you closely watch a robot vacuum as it cleans, you may notice that it slows down as it approaches the wall or another obstacle. Most robot vacuums have a proximity sensor – either infrared or ultrasound –to detect solid obstacles ahead of them. They will then slow down until the bump sensor comes into contact with the obstacle after which they change direction. Cliff sensor –Robot vacuums are designed to clean near the edge of the stairs without tumbling down. They use cliff sensors affixed to the bottom of the unit to detect when they’ve reached the drop-off at the top of the stairs. The cliff sensor constantly measures the distance between the vacuum cleaner and the floor usually using infrared light. If the distance suddenly increases, the vac stops and turns around. Optical encoders –These are special sensors located on the wheels of the robot vacuum. They calculate the distance traveled by the robot vacuum by detecting the number of wheel turns. Modern robot vacuums don’t rely on these sensors. They can also map out a room to determine its rough layout and dimensions. They then use algorithms to calculate an efficient cleaning path. This feature is actually what differentiates older ‘dumb’ robot vacuums from modern ‘intelligent’ models. To map a room these robotic vacuums use a process called Simultaneous localization and mapping (SLAM). It’s a way for the robot to know where it is at the current time while also keeping track of its environment. SLAM relies on sensors and algorithms. Sensors can be ultrasound, lasers or even a camera (in which case it becomes VSLAM with V standing for visual). Laser-based mapping is often more precise and accurate but is only found in pricier vacs such as Neato and Roomba. As the robot builds a map of the room, it feeds it to algorithms which then calculate the most efficient cleaning path that will cover the entire floor as quickly as possible. Some vacuums can even stop cleaning when the battery gets low, find their way back to the dock for a recharge and then go back to where they left off. The robot constantly updates and improves its room map with every cleaning. Hence it gets better and more efficient. That’s why intelligent robot vacuums clean faster, more thoroughly and using less energy than cheaper models. Other than sensors and intelligent mapping, you can also use virtual boundaries or barriers to confine the robot vacuum within a specific area. Roomba robot vacs come with a virtual wall that uses infrared waves to keep the robot from going past a certain area such as the doorway. Neato and several other robot vacuums use magnetic stripes. Can a Robot Vacuum Clean Corners? Most robot vacuums will clean the edge of the wall well enough. The robot will bump up against the wall then follow the wall line as a side brush sweeps dust and debris into the path of the main brush where it’s sucked up into the vacuum. But many struggles when they get to a corner. Roomba has a perfectly rounded shape that doesn’t quite reach the apex of a corner even with the side brushes. Other round robot vacuums like Ecovacs and iLife also have the same problem. Neato is much better at corners and along walls thanks to its D shape. The flat front edge allows for a bigger brush that gets closer to the edge of the wall and deeper into corners. So if you want the best robot vacuum for edge and corner cleaning, I recommend a Neato model rather than Roomba. Can A Robot Vacuum clean under furniture? This depends on two things: your furniture’s ground clearance and the height of your robot vacuum. If there is enough space under your furniture, most robot vacuums can easily go under there and clean up the accumulated dust and food crumbs. If your furniture leaves very little space underneath, only a very low profile robot vacuum will manage to go under without getting stuck. The Roomba 980 is just 3.6 inches high, the Neato Botvac Connected in 3.9 inches and the Ecovacs Deebot N79 is even lower at 3.1 inches. What should I look for in a robotic vacuum? The most important thing to look for in a robotic vacuum is whether it works. There countless reviews of customers who bought a robotic vac only for it to bounce off walls and furniture without doing much. While robotic vacuums have become better at cleaning, there are still some brands that do a poor job of it. Here’s my advice; stick to well-known and trusted brands. You can’t go wrong with a Roomba, Neato or iLife robotic cleaner. They may be a bit pricier than some dirt cheap off-brands out there, but you’ll get value for your money. If you prefer not to spend on a good quality brand, you are better off using your old upright vacuum cleaner. The other factors to consider mostly depend on your needs. 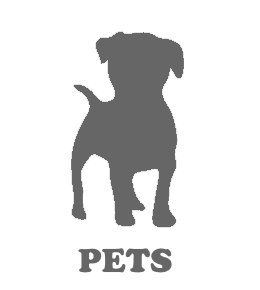 If you have a pet or pets at home, get a vacuum cleaner that is good at picking up pet hair. If you have a large carpeted area, get a robot vacuum that has more suction power or one with a power/carpet boost feature such as the Roomba 980. For a large home, get a robot vacuum with multi-room cleaning. Both the Roomba 960 and 980 have it. They can clean an entire level of your home at a go. If you or anyone else at home has allergies, get a robot vac with a HEPA filter. Other factors to consider include runtime, robot height and availability of advanced features such as self-charging and resume, room mapping, remote control via WiFi, Alexa or Google Home compatibility and cleaning reports. What are some common features I should look for? Robot vacuums with room mapping clean a lot faster and more efficiently compared to vacuums that move about randomly. Both Neato and Roomba have this feature. Many modern vacuum cleaners are smart. That means you can connect them to WiFi and then control and monitor them from your smartphone even when you are away from home. You can get cleaning reports, control the robot’s settings and set an automatic cleaning schedule. If you buy a smart robot vacuum, find one that can be linked to a smart virtual assistant like Alexa or Google Assistant. You’ll be able to control it using a smart speaker. With scheduling, you can set the robot vacuum to automatically clean at specific times and days. This is handy if you have a busy schedule. To clean a carpet, a robot vacuum needs more suction power. If you have a large carpeted area at home, find a vacuum with a turbo mode or carpet boost feature. This increases suction power to clean the carpet better. A self-charging robot vacuum is great. It can automatically go back to the charging dock if the battery gets low in the middle of a cleaning session. A self-charge and resume robot are even better. After it recharges, it goes back to cleaning, picking up from where it left off. A HEPA filter captures allergens and particles as small as 0.3 microns. 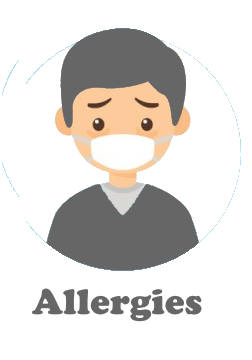 This is beneficial for people with allergies or respiratory health problems. Some robot vacuums have a sensor that can detect areas with dirt and focus more on them. Most robot vacuums have these two cleaning modes. Spot mode is ideal when you want to clean up one area. Maybe you’ve spilled some floor or dragged in some dirt. Edge cleaning mode is handy for when you want to clean only along the wall. Can a robotic vacuum mop my floors for me? Yes, you can get a robotic floor mop. Some good ones include the Braava jet 240 by iRobot (the makers of Roomba) and the Haier Robot Vacuum with the mop. Some models double up as robotic vacuums and robotic mops. What are some of the common problems with robotic vacuum cleaners? All robot vacuums have a problem navigating very dark surfaces. Their sensors can’t detect floors and furniture that are too dark. As a result, they tend to bump hard into dark furniture or suddenly stop when they come to the edge of a dark floor or carpeting because the cliff sensor thinks it’s a drop-off. Another problem comes in when you are cleaning shag or thick-pile carpets. While some vacuums perform decently enough on low and medium-pile carpets, most have a problem with thick and shaggy ones. Only a few robot vacuums like the Roomba 980 can properly deep clean a thick-pile carpet. With others, you have to use your old vacuum occasionally. Are robotic vacuum cleaners loud? Different robotic vacuums have varying noise levels, but they are just as loud as traditional manual vacuums. If you hate the noise or your pet gets scared of it, I recommend the Deebot N79. It is quieter than most other vacuums including Roomba. Alternatively, schedule the cleaning when you are away from home or when you take your pet for his daily walk. Do I still have to spot clean my floors? Most robots will not completely clean corners while others may be unable to get under furniture. Also, remember that robot vacuums cannot clean the stairs; you still have to do them the old way. Will a robotic vacuum fall down my stairs? Usually, no. Most robotic vacuums today have cliff sensors at the bottom that keep them from going down the stairs. But they can fail if the sensor is covered by dust or the floor is too dark. Will a robotic vacuum get stuck on cords or wires? Some companies will say their robot vacuums have an anti-tangling feature but robot vacs can’t handle cords. Either secure loose cords or use a virtual wall barrier to keep the robot away from them. Can a robotic vacuum move over door thresholds? Yes, most robot vacuums can easily go over threshold strips and carpet edges. Will I have to move my furniture so a robot vacuum can clean? Only if you want the area under a piece of furniture cleaned and the robot cannot go under it. Otherwise, most robotic vacuums can easily navigate around furniture and even duck under them. Can a robotic vacuum clean pet urine or stool? Only wet mop robots can clean urine – and from hard surfaces only. No robotic vacuum will do a good job cleaning cat or dog feces from your floor – in fact, make sure you’ve cleaned pet messes up before running a robot cleaner, or you could end up with a nasty “painting” all over the floor of when you return home from work! When checking pricing. Amazon price for the Neato XV was around $1200 while the Roomba 980 was $899. I’m confused.